Signing off and toasting (with or without alcohol): To more science-based fun food facts! Before you dive in, know that I’m all about putting health risks into perspective (a couple of degrees in Toxicology will do that to someone, LOL). 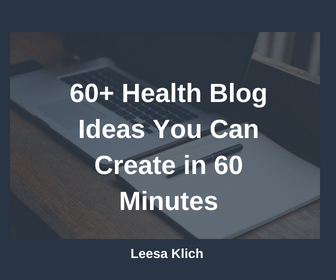 When it comes to health, there are very few substances that everyone should avoid at all cost and several things that everyone needs to have every day for health (water & essential nutrients). Other than those few “black and white” rules when it comes to health, the rest is pretty grey. This is why understanding health risks and putting them into perspective is key – it’s mostly a nuanced continuum spanning from “avoid at all costs” to “get some every day”. From a chemistry perspective, “alcohol” is a group of organic compounds that have an -OH bound to a carbon. The one we drink is specifically ethanol (CH3CH2OH). Many of the other organic alcohols are more toxic. Now that we’ve clarified that, I’m going to use “alcohol” for the rest of this post, and it will relate specifically to “ethanol”. Cool? The relationship between alcohol consumption and cancer risk has been known since the beginning of the 20th century. Epidemiological and biological research on the association has established that alcohol consumption causes cancers of the mouth, pharynx, larynx, oesophagus, liver, colorectum, and female breast. Oh and if the term “correlation does not equal causation” isn’t totally crystal clear, I talk all about WTF that means in this post. Alcoholic beverages are complex mixtures, but ethanol, mediating a genotoxic effect upon metabolism to acetaldehyde, is recognized as the agent predominantly accounting for carcinogenesis. There is a strong correlation between chronic ethanol consumption and cancers of the intestinal tract, although ethanol itself is not carcinogenic; causation may lie with the metabolite acetaldehyde. What these mean is that when our body starts to break down alcohol to detoxify and eliminate it, one of those compounds, acetaldehyde, is actually the one that messes with the DNA in our genes to cause cancer. This is called “dose-response” or “dose-dependent”. So, how much do you need to drink for how long in order to increase your cancer risk by how much? If you look at page 3 of this 9-page IARC doc (page 98), you’ll see in Box 2.3.1 the risks of different cancers increases with the increased consumption of alcohol. You’ll notice that even at a consumption of zero, there is still a risk for the different cancers (mouth/oropharynx, oesophageal, laryngeal, colon, rectal, liver, and breast cancers). This means that alcohol doesn’t cause every single case of these cancers, other things do too. A recent study made some headlines about how much alcohol is safe. Researchers looked specifically at alcohol’s effect on cancer and death. They found that people who have 0-1 drinks per day had the lowest risk. The results suggested that risk of some cancers increased with each additional alcoholic drink per week consumed. This means that the lowest risk of cancer (or death) was in people who drink no more than seven drinks per week (average of 0-1 drink per day). And, the more someone drank, the higher their risk of cancer was. This evidence should not be taken to support a protective effect of light drinking. Nope, small amounts of alcohol don’t protect you from cancer, rather more than one drink per day increases your risk. Then the question becomes, “If alcohol causes cancer, what should we do about it?” Should we ban it or put warning signs on packages? If so, what impact will that have (based on actual public health research, not the theories and opinions you and I both have). 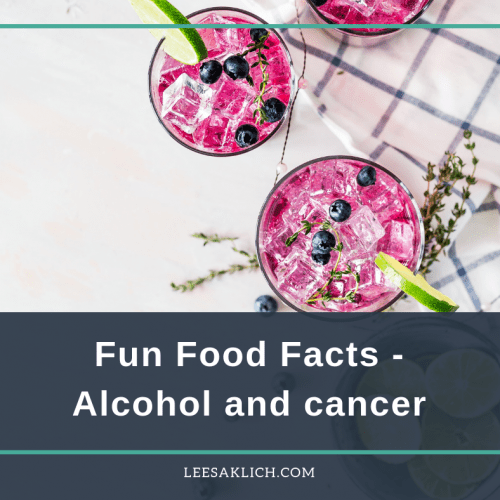 Now that you have a few fun facts on alcohol and cancer, what’s your take? Did you already know these? How do you approach health risks? Have new studies, or media coverage of them, changed your opinion or habits? If you choose not to drink alcohol, or to drink a bit less, I’ve compiled a list of 100+ drink recipes that look like (and may even taste better than) alcohol. As for me, I’m going to stick with less than seven drinks per week – closer to four actually (two on Friday evening, and two on Saturday evening). What about you? I’d love to know in the comments below! Want a fairly constant flow of fun food facts? Follow me on Twitter. Thank you for such an informative article. I’ve just started reducing my alcohol intake and feel much more energised and healthy for it. It’s a simple step we can all take to help reduce our risk of cancer.